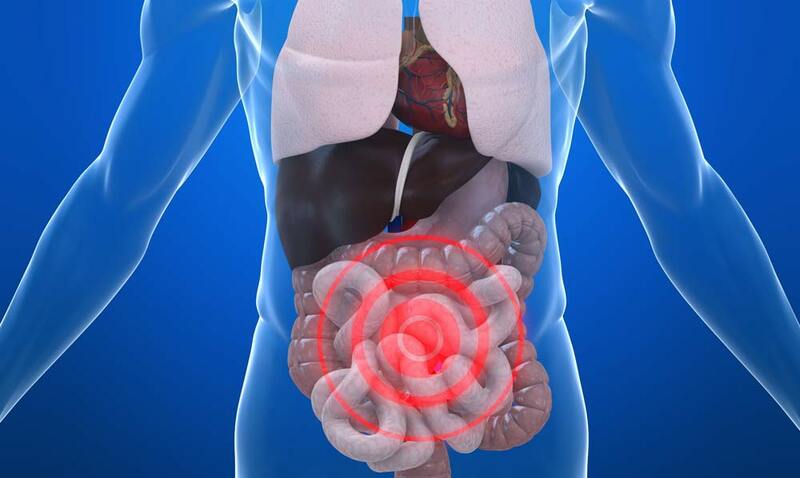 Poor gut microbiome/ bacteria is often a reason for irritable bowel syndrome. Your intestine contains more microbiota (microorganisms) than there are cells in your entire body, roughly 37 trillion cells in your body and 100 trillion microbes living in your gut. The symbiotic relationship between you and your gut bacteria or microbiome is one of the best in nature, you provide housing and food for them and they help you in digestion, making vitamins (like biotin and K), producing powerful regulators (like butyrate) and keeping your body healthy on several aspects in most of the systems of your body. The microbiome in your gut helps with the breaking down of indigestible fibers, releasing starch, special fatty acids, and antioxidants, which aid the functionality of your body, fight inflammation and even protect against cancer. Knowing this, you should know that the health of your microbiome is in direct relation to your own health. Both need to function well for a healthy body. Add to this the brain-gut connection, and the health of your gut microbiome can even determine your mood and psychological status. What is the relation between the health of your gut and the health of your brain, what is known as the gut-brain axis. The Gut-Brain axis or connection is far more complicated than the term implies, first off it doesn’t include the gut and brain only, it also includes most of your endocrinal system, your autonomic nervous system which is the part of your nervous system that you can’t control by will, your heart is included because of the inclusion of the autonomic nervous system, and because of the inclusion of your endocrinal system which is the system releasing all the hormones that control and affect your body, your blood sugar, fertility, skin and hair health, teeth, bones and almost every other system in your body. There is also a direct impact on the mood through the brains neurotransmitters which control happiness, belonging, sexual drive and anger? The gut-brain axis is a biochemical axis that spans your gut, your microbiome, your central nervous system, neuroendocrine system, peripheral nervous system, and your autonomic nervous system. The gut-brain connection actually means the entirety of what makes you, well, you. What happens if the microbiome or your gut health is not doing well. Certain diseases like irritable bowel disorder provided the data to indicate that there is are ineffective bacterial relationships in your gut. Diabetes and poor gut health: As mentioned in the really brief correlation between your gut and the several systems of your body, any affections to your gut and its microbiome would result in affections of the endocrine system, in fact it is related to one of the most serious conditions and sadly common problems of the endocrine system, diabetes mellitus type 2. Can your doctor cure diabetes? The relationship between obesity and diabetes type 2 is believed to be caused by loss of sensitivity of peripheral cells because of the abundance of fat cells to insulin, leading to secondary failure in your insulin-glucose axis, which is diabetes. Obesity: It has been proven that obesity affects the health of your microbiome, and the health of your microbiome affects your body weight in a vicious never-ending circle. Knowing of the gut-brain axis and the effects entailed, poor gut causes poor mood causing obesity which causes diabetes. It really is a serious problem that can be avoided or abolished by maintaining the health of your microbiome in the first place. So, the health of the gut can benefit the regulation of your weight and the poor health of your gut can lead you to obesity. Chronic inflammatory diseases: Diseases like Crohn’s disease and ulcerative colitis which are believed to be behind most of the cases of irritable bowel disorder are related in some ways to the health of the gut and the microbiome of the gut. There is also a relation between the health of the gut and the immune system because of the circulating toxins of bad bacteria in the blood initiating a violent response from the immune system towards the body itself, so disease like rheumatoid arthritis can get far worse due to the poor health of the gut as well. Around 80% of our body’s immune system is directly surrounding the gut, so the health of the gut and immune system are intimately tied. Psychological disorders: As mentioned above in the clarification of the brain-gut axis, your gut health affects your mood and might even lead to depression. The vagus nerve carries feedback from your gut to your brain stem which empties in your limbic system altering your emotions and sharpening your mood. On another hand the microbiome in your gut produce most of the tryptophan which is the precursor for serotonin, the hormone or neurotransmitter of happiness, so the lack thereof leads to depression. If the good microbiota is affected as in the case of prolonged antibiotic intake, you are left with not so good bacteria that produce toxins that can lead to stress. Add all of these problems together and you will not be far away from being affected by chronic fatigue syndrome. Infections: Your gut has around 70% of the lymphatic system of your body, which is responsible for purging the infections and inflammatory agents from the body. So, if the gut is in poor health, your entire lymphatic system is affected because of it, thus making you more prone to have infections. Cancer: The microbiome has a role in prevention of cancer, but some types of infectious bacteria toxins might lead to colonic cancer. Also, the lack of good bacteria allows the viral infection to spread which might alter the DNA of the gut cells also leading to cancer. And finally poor gut health means poor lymphatic system health and as discussed this plays a very important role of purging unwanted agents from your body, including premalignant cells and toxins leading to malignancy, and this increases the chances of cancer cell congregation producing malignant tumors. The bottom line is, if you neglect the health of your gut, you are exposing yourself to far more health issues than simply irritable bowel syndrome. Take good care of your gut and its microbiome to live healthy and stay healthy. Eat enough fiber, which is only found in plant foods, including fruits, vegetables, whole grains, legumes, nuts, seeds, and seaweed. Consume enough water. Water is an important reactant in the body’s ability to digest food into the useful nutrients that are absorbed into our bloodstream. Most people in the developed nations suffer from chronic subclinical dehydration. Drink enough water so that your urine is a light yellow and you urinate every 2-3 hours. Eat fermented foods. Kimchi, sauerkraut, pickles, vinegar, tempeh, and other fermented foods contain trillions of bacteria that enrich the microbiota in your gut. Make sure that you have a daily bowel movement. Constipation is the beginning of gut dysbiosis. Any nutrient deficiency can manifest as gut dysbiosis, such as folate, B-6, B-12, protein, niacin, vitamin A, etc. Make sure that you eat a whole food diet that is nutrient dense, and then take a quality broad spectrum vitamin mineral supplement.